Enjoy peace of mind with your belongings safe and secure at Alpha Self Storage. Our gated, well-lit property offers clean, protected storage for your valuables. With a variety of unit sizes plus outdoor storage space, we have all your storage needs covered. Alpha Self Storage offers ideal solutions for your stuff. Do you have seasonal décor that needs a home? Did you inherit Aunt Betty’s furniture but aren’t sure where to put it? Do you have a boat or trailer that needs a secure landing place for the season? Our facility provides the self-storage solutions you need. Family owned and operated, Alpha Self Storage has been delivering personalized service for storage in Tolono, IL since 2002. We offer a wide range of units, from 10×16 to 30×60, as well as outdoor storage for RVs, campers and trailers. At Alpha Self Storage, we know you need a safe and secure location to store your belongings. That’s why we offer a well-lit, gated property that is patrolled nightly by local law enforcement. We also realize you want convenience when it comes to accessing your unit. We make it easy with 24-hour access to your belongings. 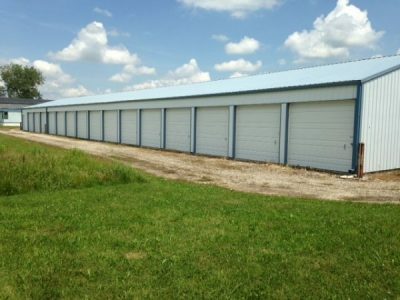 It’s easy to see why we are the go-to source for storage units in Tolono, IL. When you need a place for your possessions, Alpha Self Storage is the answer. Our customer service and diverse storage options make storing your stuff a breeze. We are locally-owned and -operated, established in 2002. Our facility is secured with gating, lights and nightly law-enforcement patrols. We offer 24/7 access to your unit. Our facility includes multiple-sized units to meet your unique storage needs. We provide outdoor storage for RVs, campers and trailers. When you need a safe, simple solution for your storage needs, contact Alpha Self Storage for superior service and secure surroundings.